When visiting Europe, few travelers go farther east than the now-super-popular Czech Republic and Croatia. Case in point: Poland. 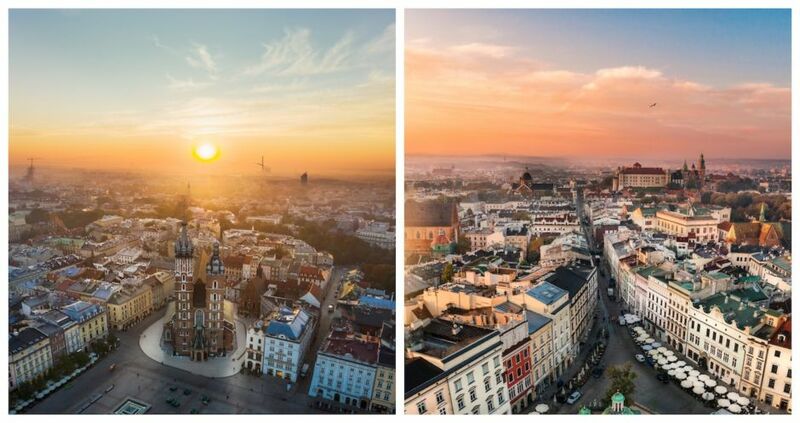 Despite being a member state of the European Union since May 2004, the country still does not make it to many itineraries as travelers fear visiting a dreary country — an erroneous cliché that seems hard to shake for former USSR states. Those in the know, however, are well aware that Poland is a stunner — Gdańsk and Kraków alone would make anyone weak in the knees. So, if you want to make your trip to Europe a little less predictable, but still fill it with amazing architecture and outdoor experiences, consider these 11 amazing things you can do in Poland. Although it’s the largest city in southeastern Poland, Rzeszów is not well known to travelers who usually stick to the Gdańsk-Warsaw-Kraków circuit, but it’s very much worth making a detour to. A long walk around the town center, especially the cobblestoned market square where the beautiful city hall building stands, is proof that if you want to see stunning architecture, Poland is one of the best places to hit. A 20-minute drive from the town of Rzeszów, Łańcut Castle is a cool spot to visit. 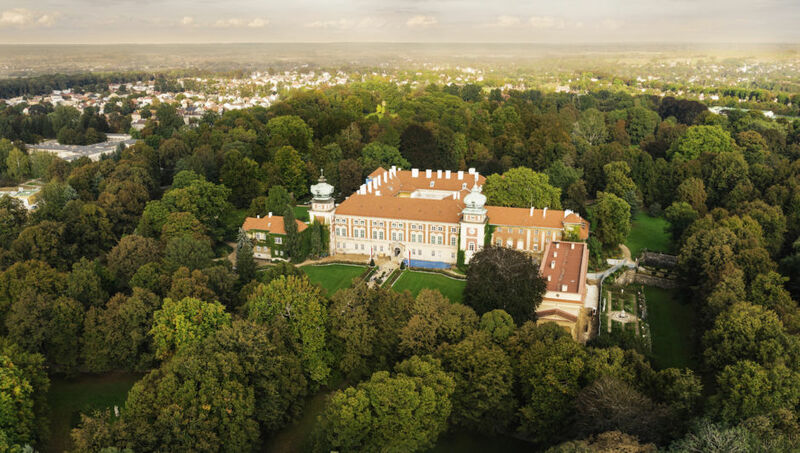 The 17th-century castle is considered one of the most beautiful aristocratic residences in Poland and for good reason. Check out the beautiful interior, the collection of horse-drawn carriages, and go for a long walk (or even a picnic) in the magnificent park. At the very border between Poland, Slovakia, and Ukraine, Bieszczady National Park is a great spot to hit when you want a break from the cities and museums. 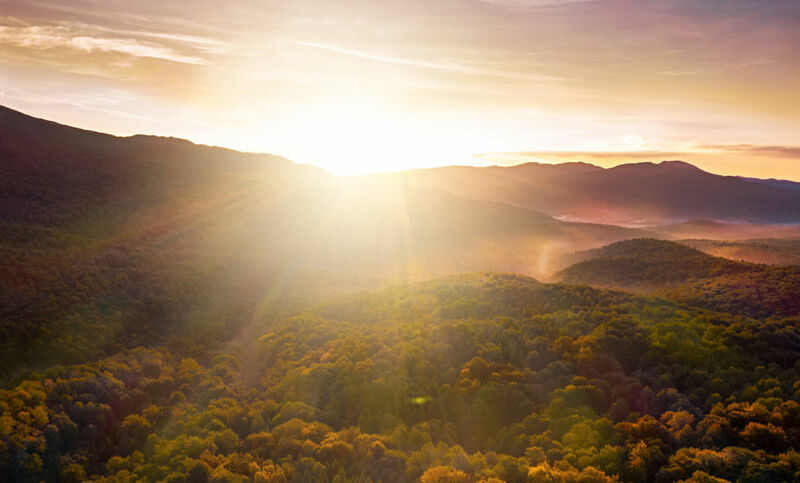 Bieszczady National Park is one of the largest in the country and home to bears, lynxes, wolves, and bisons - despite being very urban, Europe still has amazing wildlife. If you want to escape civilization for more than just one day, stay at Schronisko pod, an A-frame house at the foot of Mała Rawka, a peak in in the Biesczczady mountain range. It’s a little remote, but it’s a great place to start hiking the park. 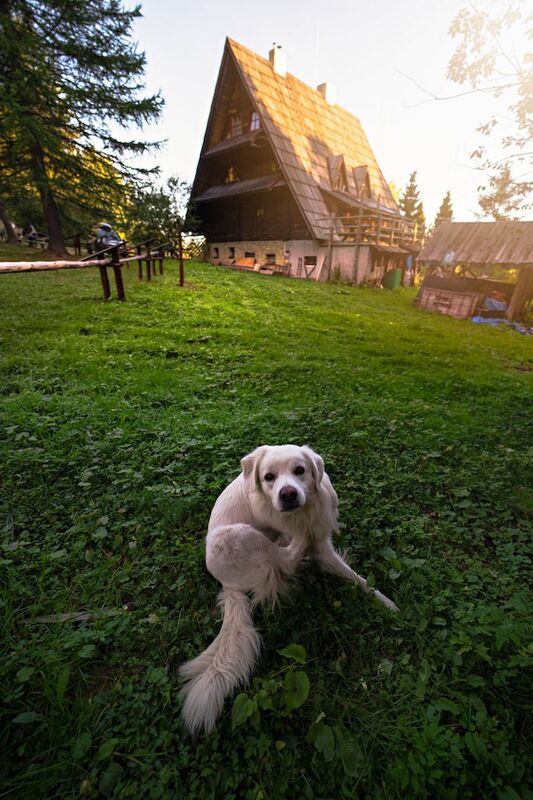 The puppies hanging around the place are cuties, and the owners’ traditional Polish herbal tea is the real deal. Try some local wines at Kombornia Manor. 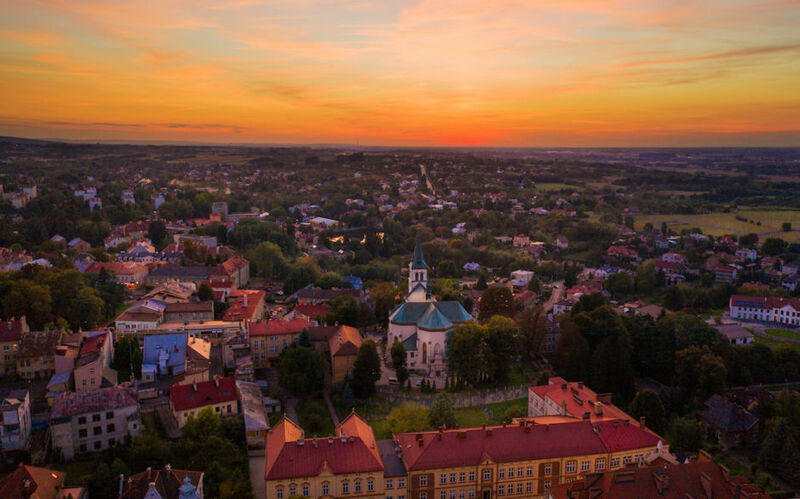 A 20-minute drive from the town of Krosno with its cool market square and colorful houses, Kombornia Manor is the perfect spot to treat yourself to some relaxation and amazing fare in a stunning setting. 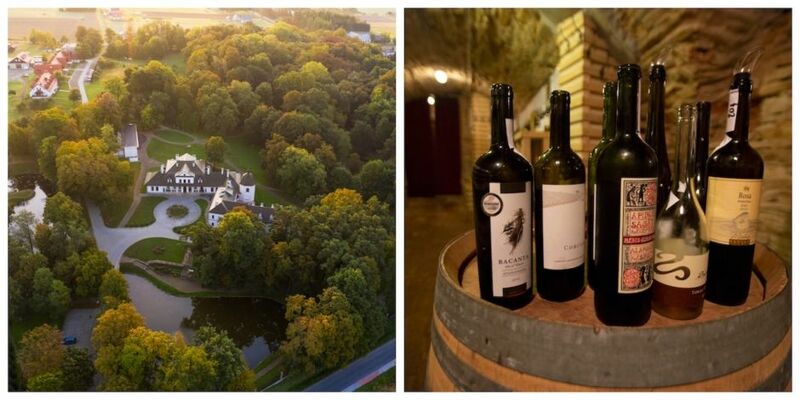 Book a room with a view on the lake and enjoy the silence of the Polish countryside before you get down into the 18th-century cellar for a 60- to 90-minute wine tasting before a gourmet dinner at the hotel’s restaurant. Although you may never have thought Central Europe was a wine destination, tasting wines from Slovakia, Hungary, the Czech Republic, Romania, and Poland is sure to change your mind. Bike around Pieniny National Park. To work off all the wine you’ve been drinking at Kombornia, hit Pieniny National Park and rent a bike. This park on the border with Slovakia has beautiful alpine landscapes. You can ride from the park’s entrance all the way to the Slovakian border (only 15 miles). 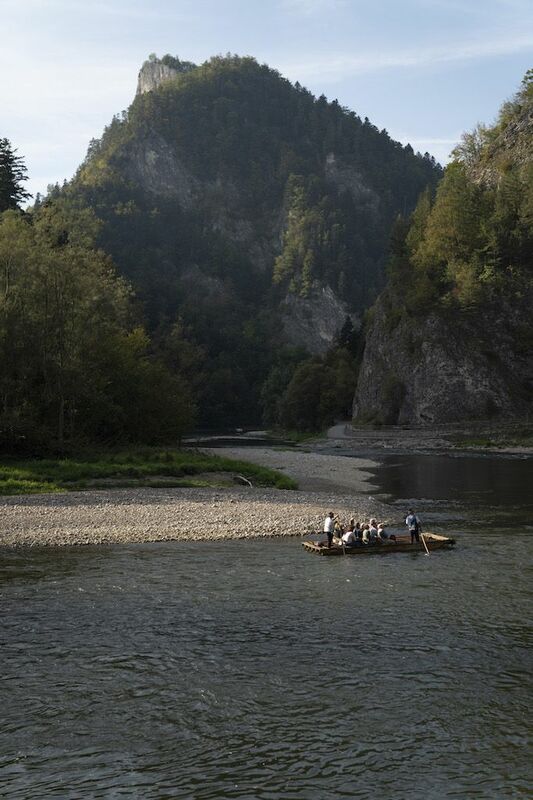 If you’re into water sports, it’s also a great place for rafting down the Dunajec River Gorge. 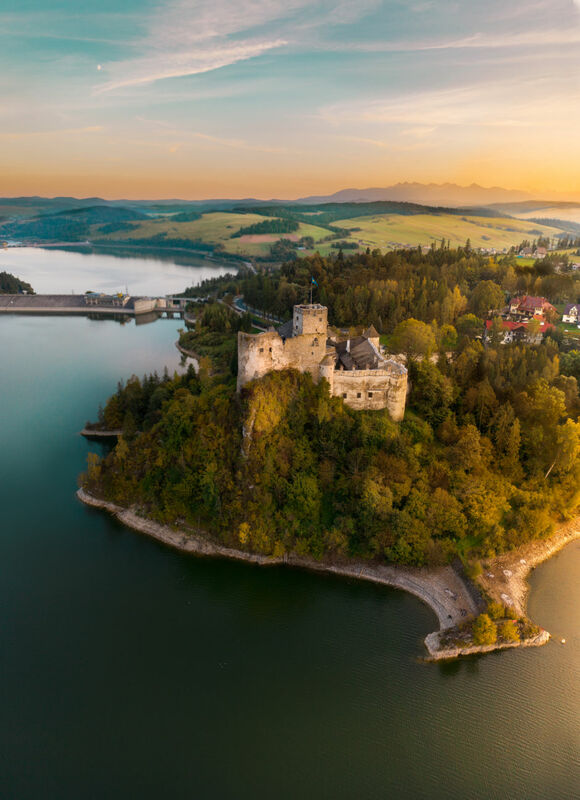 Check out Nidzica Castle from above. The 14th-century brick castle sits on the edge of Lake Czorsztyn. You’ll get an amazing view of Nidzica Castle from Pieniny National Park, especially if you time it for sunset. The Tatra Mountains, also called “the Polish Alps,” are part of the Carpathian Mountain range and form a natural border between Poland and Slovakia. 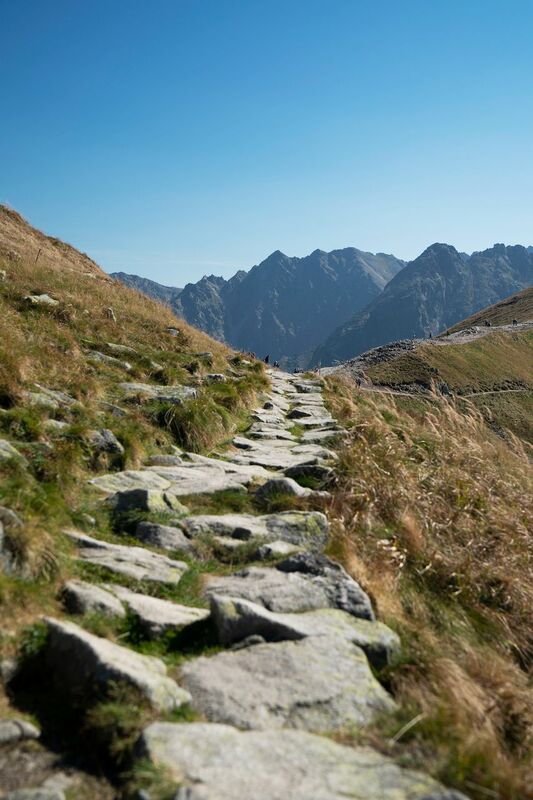 Only two hours from Kraków, the Tatra Mountains are the best place in Poland to ski in winter and hike in summer. 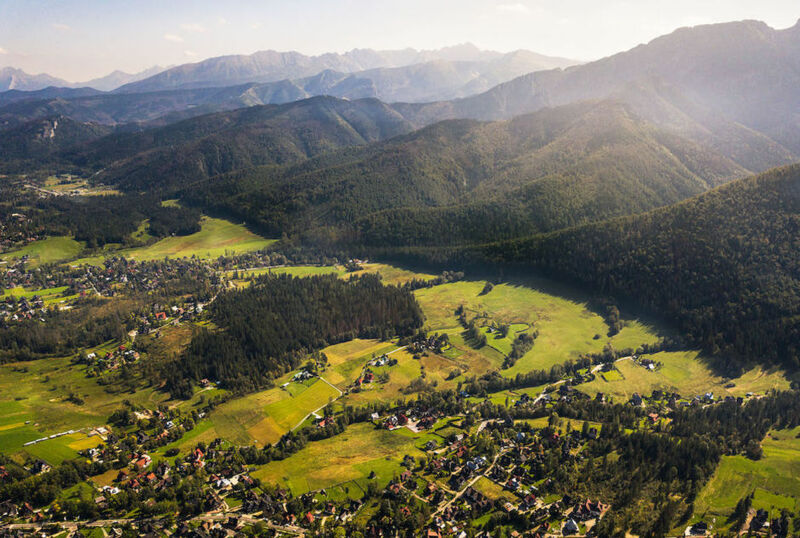 The town of Zakopane is the gateway to the Tatra Mountains. Check out Zakopane, Poland’s ultimate mountain resort. Zakopane is considered to be the best mountain resort in Poland. It’s a super scenic town that is filled with A-frame houses at the foot of the Tatra Mountains. Admire the Kasprowy Wierch peak from town and grab lunch at Karczma Przy Mlynie for some amazing traditional Polish food. Or, hop in the Mount Kasprowy cable car. Ride the Mount Kasprowy cable car and hike. The Mount Kasprowy cable car, built in the 1930s, is a 15-minute ride from Zakopane to the top of Mount Kasprowy. 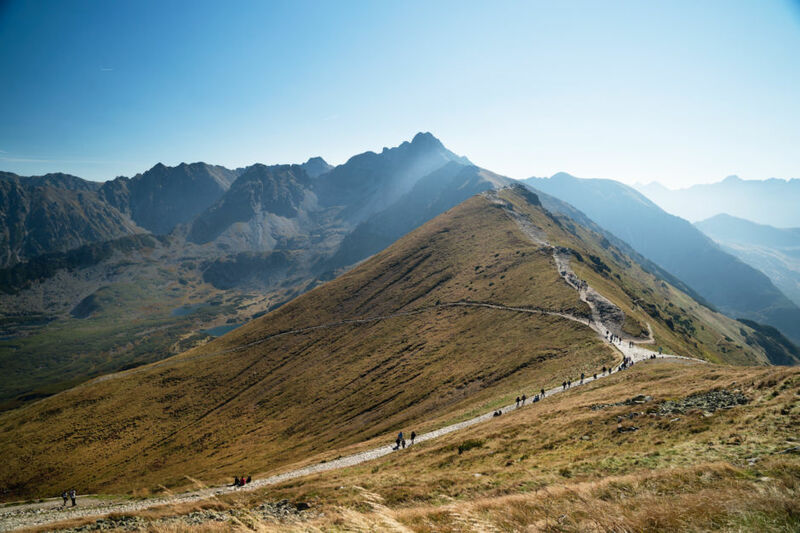 At the top, you’ll find the highest meteorological observatory in Poland from where you’ll get a breathtaking view of the Slovak and Polish sides of the high Tatras. It’s also the starting point of beautiful hikes. There are few cities as gorgeous as Kraków. To take in all the beauty, you need to put on some walking shoes and explore at a leisurely pace. The Old City’s market square is busy, even on weeknights, so if you want to see the place without the crowds, go early in the morning - seeing the beautiful St. Mary's Basilica lit up by the sunrise is a sight you won’t forget any time soon.